Effective January 1st, 2019, LN Engineering has become the exclusive distributor for RND Engines and for products sold under the RND brand. Sales, service, and support for existing and future RND customers will now be based out of our Chicago, IL location and handled by LN Engineering LLC. The new for 2019 RND Engines program is an engine rebuild service for stock engines for Boxster, Cayman, and 911 models from 1997-on. In late spring of 2019, RND will begin to offer engine kits as well as remanufactured engine blocks/cases and cylinder heads on exchange. RND will continue to supply SSF Imported Auto Parts the RND RS Roller Bearing for its wholesale customers. SSF Imported Auto Parts is liquidating remaining inventory on RND shortblock and longblock engines. Clearance engines are sold as-is without warranty. 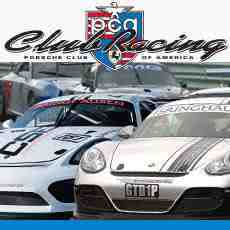 Core charge is waived and engines include free shipping within the CONTUS 48 States. Residential or liftgate service extra. Clearance engines do not feature IMS Solution, ARP Rod Bolt and JE Pistons. Professionally Rebuilt and Upgraded Engines. 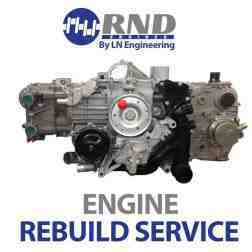 RND Engines program is the result of a cooperation between the industry’s leading European repair specialists. The combined knowledge and expertise in engineering and engine rebuilding is what sets RND Engines apart in the aftermarket with its Engine Program and RS Roller Bearing IMS Kits. LN Engineering offers stock engine rebuilds through the RND Engine program benefiting from over a decade of experience serving the aftermarket with proven engine solutions. Fast Delivery, Honest Warranty, Fair Pricing. The mission of RND Engines is to supply the aftermarket the most updated, reliable, and absolute highest quality engines at a fair price. RND Engines are built for the car owner passionate about their vehicle, and an owner that wants to keep their vehicle operating at the highest standards. With no corners cut or details overlooked, RND engines simply offer a high-quality alternative to costly factory shortblock engines and ultimate peace of mind. All RND M96/M97 Engines are equipped with Nickies™ Performance Cylinder Sleeves and the original IMS Solution. Select models including the Cayenne S and Turbo V8, Panamera V8, and 9A1/9A2 engines feature Nickies Lite direct plating process. Click here for the new program benefits and details.